The All Things Unicorn Trend: From Makeup, Fashion to Phone Cases. Unicorns are having a real fashion moment, and I for one, am loving it. I’ll take the teasing about my childish, OTT taste, but give me my unicorn makeup brushes and My Little Pony T Shirt, because fashion and makeup should be fun. And what’s more fun than unicorns? Back in the day, the unicorn was the symbol of purity, a mystical mythical creature that personified the unattainable but desirable quality. A symbol like the Holy Grail, and for those of you in the UK, one of the animals that supports the crown, the only country in the world to have a mythical animal as it’s symbol. During the 80’s, when fantasy stories were back in style in a big way, unicorns were everywhere, and it seemed like every cartoon heroine had her own rainbow haired, horned steed. Toy shops stocked unicorns and pegasus toys in every shade, and I think almost every little girl wanted one. I think for me, this is where it comes from, that dream in childhood of magic and adventure. A symbol of freedom, beauty and feminity. Unicorns are just cool. and my Estella Bartlett Rose Gold unicorn necklace (£18.99) HERE, because they’re really fun and girly, but they’re also not hard to use nor overly OTT. I mean, your brushes stay at home, and the necklace is delicate and feminine, a little sweet charm against a harsh world. But if you want something that makes more of a statement about your magical and devil may care attitude, a phone case is the next step. Mine above, has a cute little meme on it that I found pretty adorable. But the one pictured below is all out shiny! It features a liquid glitter panel like a snow globe in a phone case, with a pink unicorn pattern printed over the top (£8.99) HERE. Nothing and no one really seems exempt from this phase. You’ll find loads of images of cats styled as unicorns, and of course, even serious gamers will find there’s unicorns in big games like Witcher, both of which are quite hilarious, and I think intentionally so. But anyway you look at it, it’s all really fun, and I think it’s fun to have a little sparkle in your life. Or a lot. Are you a unicorn fan? Maybe a closet unicorn fan? Or do you think the whole thing is a bit weird? Or do you have a great unicorn related product or tutorial? Talk to me by commenting below, or you can also find me on Twitter @CravenWild or on Instagram @hermioneflavia. 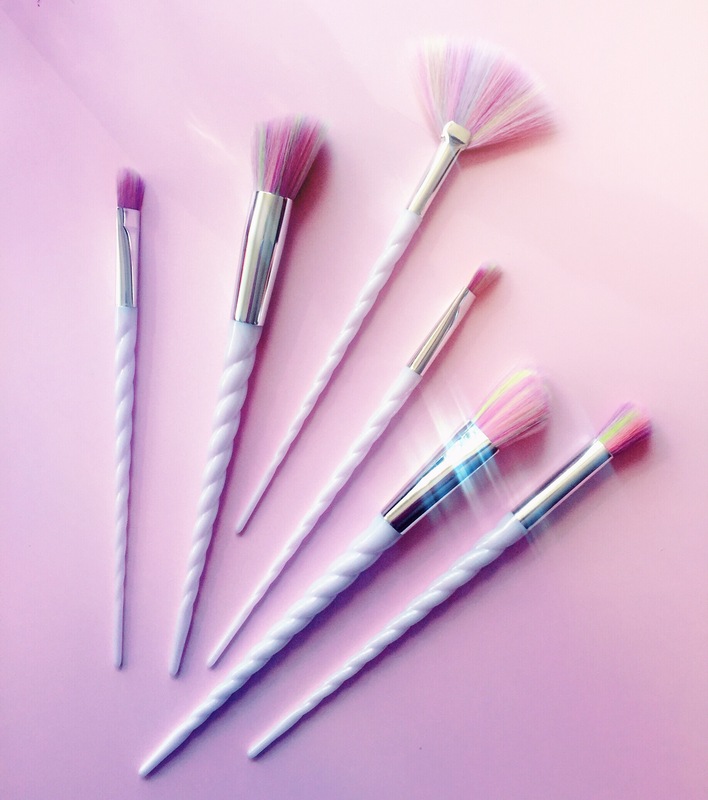 Those makeup brushes are so pretty!! Love that necklace! I never liked unicorns as a kid, but now I do find them charming! Those make-up brushes are magical! And I’m bit of a closet unicorn fan, hahah. She-Ra and Rainbow Bright for the win! Aren’t unicorns awesome? ❤️ 🦄 Thank you for the link! It’s so cool!